The urge to return home hit Nicole Turlo when she was working at a spa in Toronto, pregnant with her second child. She didn't have a job in Nova Scotia, and she told her husband he didn't have to come, but she knew moving felt right: "As long as I'm in Halifax, I'll be happy." After the family—husband included—relocated, Turlo started looking for opportunities. One that intrigued her was THE TEN SPOT, a Canadian chain of beauty bars. Turlo was a satisfied TEN SPOT customer in Toronto, and, judging by the presence of a Charlottetown branch, the company was open to east coast franchise partners, so Turlo filled out a web form to say she was interested in opening a Halifax location. Six hours later, the CEO phoned. "I was shocked. I didn't think it was gonna be that easy," says Turlo, now owner of the 23rd store. "They liked that I'm a local girl from Halifax." THE TEN SPOT halifax opens Saturday at 5165 South Street, near the Elmwood. 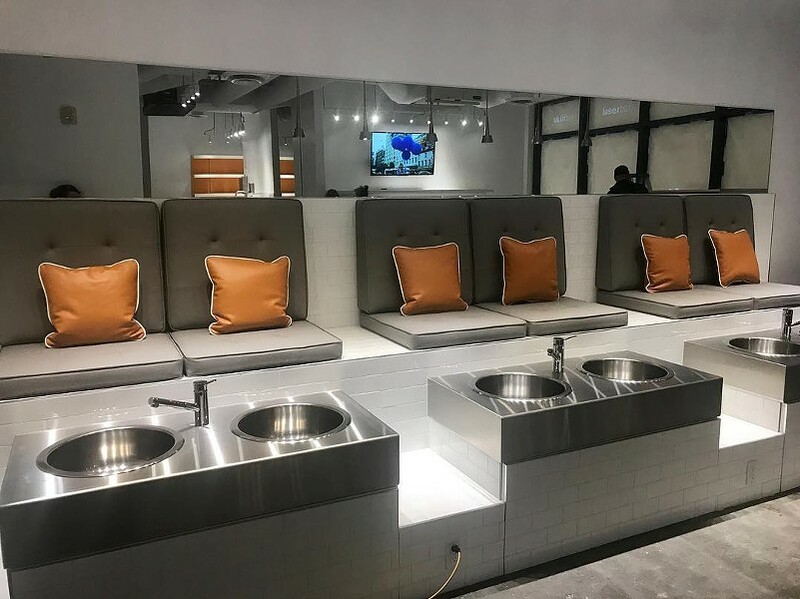 Offering speedy manicures, pedicures, waxing, facials and laser hair removal in a lively, social setting, it's "kind of like an anti-spa," Turlo says. The focus is "high-quality, highly hygenic services" for people on the go. "Get in, get it done, get out."